Looks like a storm’s coming. their promise, then it will indeed be the perfect night for a hot bowl of tinola. the rain, this can be just as comforting. and stir-fry until the chicken is browned on all sides (and the marinade thickens and coats the chicken). Remove from pan and set aside. the wok and toss until chicken is cooked through. Add the leeks and stir to combine. Take off the heat and serve. add the chicken back in. enough to attempt in my own kitchen. Bee’s book has held my hand and made me believe I could. Oh, that looks so good! i like the simplicity of this recipe (and how quick the cooking time is) so I will definitely include this in our weekly menu. Thanks for sharing! Yup, this looks comforting…Will try this in the following week. That wasn't just comfort food, that was comfort reading. Thanks, I needed that. 🙂 Oh, and the recipe sounds delicious. looks fantastic. will make it tonight for my kids. I'm sure that the next day, cold, after all of the flavors have set – oh boy. Thanks ! Perfect! I have all of these ingredients in my kitchen. Thanks! Hi Faye! 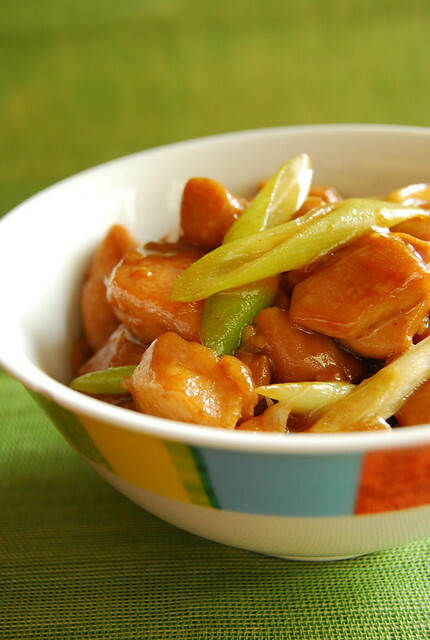 It is really simple to make and super quick (the chicken cooks fast, and should not be overcooked)…hope you enjoy it! Hope you and your family enjoy it James! Hi Neo! Hope you give it a go!